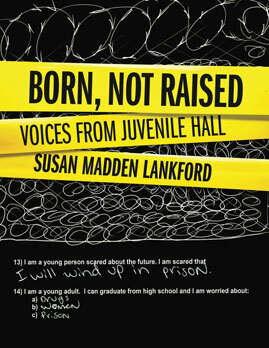 In the final volume of her trilogy on interlinked social issues, Susan Madden Lankford explores the troubled psyches of young people incarcerated in Juvenile Hall. At the core of this compelling book are contributions elicited from the youths themselves. 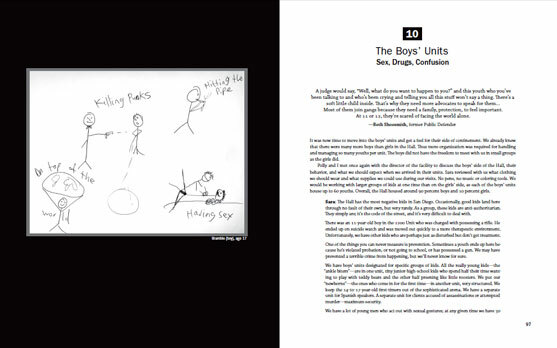 Their scrawled or careful handwriting-and brutal or poignant drawings-speak as powerfully as their words. Additional perspectives from psychiatrists, neuroscientists, and experts in the field of juvenile justice underscore the social and neurobiological impacts of childhood trauma. Ultimately, the message of Born, Not Raised is hope-that unnurtured youth, with all their dreams and deficits, can be reparented and rewoven into the social fabric.